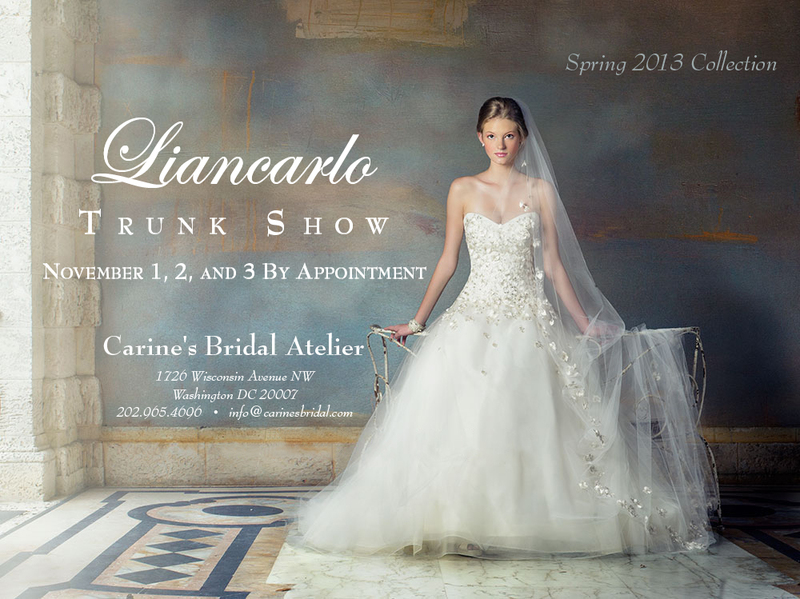 Carine's Bridal Atelier in Georgetown to hosts a special trunk show for the Liancarlo collection by designer Carlos Ramirez. Ramirez is known for his trademark feminine silhouettes, exquisite hand-work, and use of luxurious fabrics all paying homage to Latin roots. Brides to be can reserve a time to see the latest Liancarlo wedding gowns in a customized shopping experience at the Carine's Bridal Atelier boutique.